he was not singing “jew” in the third verse, it was “jewels” which is a lift from an old hank williams gospel song “when god comes to gather his jewels.”. I was there and I loved Bob’s opening song although unfortunately he wasn’t able to maintain this same level of energy till the end of the show and maybe his health problems caused him to play exactly the same set list as he had performed 2 days earlier in London was the reason, in any event below are the exact lyrics that he sung to ‘Gonna Change My Way of Thinking’ that evening and not the lyrics posted above and come and check out my Dylan articles at http://www.paullyrics.com – cheers:)! Thanks for a great comment Paul Robert! 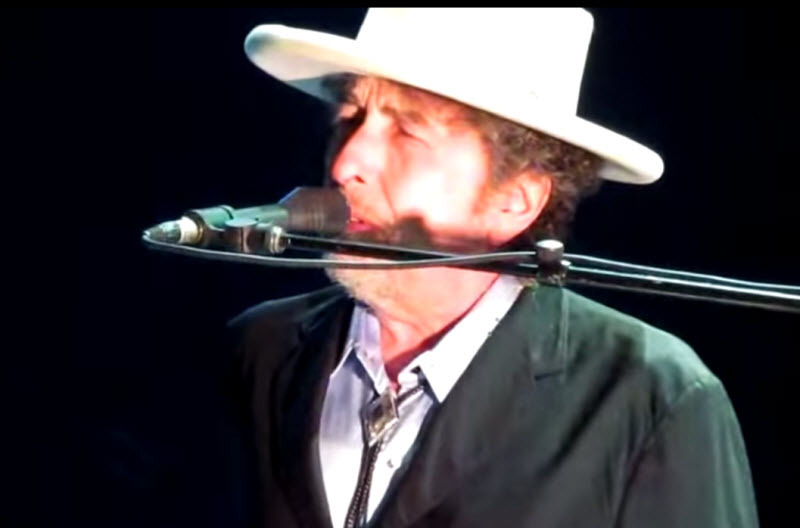 Wonderful version but it’s noticeable that Bob obscured the word ‘Jesus’ both times it comes up in the third verse. Seems like whilst he was kind of making some sort of point by playing this in Tel Aviv he couldn’t quite follow through on his convictions. Bit weird. After all, the song got a big cheer from Jew and Gentile alike in the audience. Hello, I love these daily outstanding posts by some of the very best performances of the World’s greatest songwriters and performers. I did note one small error in the post above. In providing the lyrics, it missed a very significant lyric change that comes at the 0.26 or 0.27 second mark in the 20 June 2011 performance at the Ramat Gan Stadium in Tel Aviv, Israel. Thanks for this outstanding daily dose of great music and insightful commentary! Thanks for a great comment Doug.. post will be updated. “best friend” is obviously Jesus and considering that the conversion of all Jews must come before the end times (a preoccupation of Dylan’s for most of his life) I think we can see where he’s coming from here.